"... Arvind Kejriwal was part of the system and has finally vowed to change it," my friend said proudly driving the unserviced vehicle on M.G. Road. "When was the last time you did a P.U.C.," I asked matter of factly because we were painting the town black. "I don't remember," he said, "My father must have done it before he gave me this car." "As I remember your father gave you this car almost seven years ago when we were in college, right?" I asked. "Yeah man," he said changing the topic, "But think what Arvind Kejriwal can do when we make him the Prime Minister of the country." "I don't think he will be able to do anything unless you control the pollution emission of this vehicle," I replied, "I think once you choose him to do his duty, you should do yours." "Oh man," he said, "You are such a wuss. We get these P.U.C. certificates for as cheap as 1000 bucks. Relax." "You can afford those 1000 bucks buddy, humanity cannot," I replied getting down from the car and refusing to pollute the environment anymore. 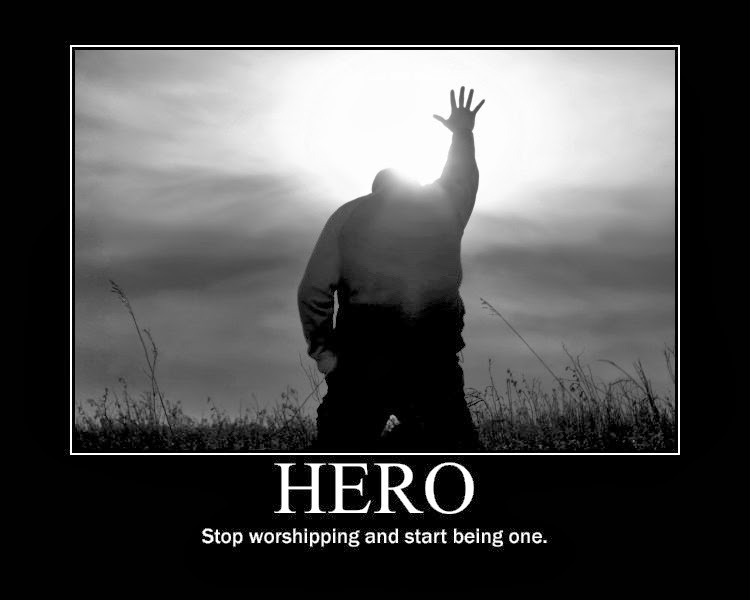 Indians have this uncanny habit of hero worshipping. First it was freedom fighters, then it was crickets for a brief moment it was also Tushar Kapoor. Every few years Indians change their heroes and keep faith in their hero. "Why tendulkar, why," my friend used to scream as he sat on the sofa with his legs above the rest and head down below (this was his ritualistic position for tendulkar to score a century), "Why did you leave the offside open!!!!" The day Sachin Tendulkar retired, my friend deannounced living. We were hoping he would go to some himalaya to medidate and never come back but the thing about hero worship is, no one wants to do anything. After cribbing for two days completely he had a new hero, Anna Hazare. "Rahul Gandhi is not capable of handling this country," he said to no one in particular as he entered the room. "Did you bring milk and eggs?" his wife asked dilligently. "No," he said, "I forgot. You go down and bring." "You are not capable of handling this house," she said, "Don't crib about Rahul Gandhi." We are a nation of cribbers. For almost two weeks a member in our society was complaining about not enough diesel in generator. "The prize of diesel have increased so much," he used to begin, "It is such a pain, only Narendra Modi can reduce the prize of diesel." "Did you call the maintainence guy who was going to fine tune our generator so it can consume less diesel," asked the chairman. "No, I forgot to do that," he said shrugging. Even the leaders are no different, all the so-called leaders of the country are busy cribbing about each other. Every one fights for the 'issues' in the country but no one talks about solutions for them. The Aam Aadmi Party is a newly formed political party in this country. If nothing else they have adopted one quality of the mango people of the country, and that is cribbing. Said one commuter at the traffic signal, "Don't block my way." "It is a red light," I informed him pointing to the red light at the traffic signal. "There is no cop around," he said, "If you want to be a wuss be a wuss, let me go." He sped past bearing the insignia of his favorite youth leader bearing the sign, 'I support him'. How is he going to support his leader by breaking the traffic signal is beyond me. Everyone is waiting for their next leader to come with a magic wand and transform India but no one wants to pick up the wand themself. The battle lines are drawn on who will become the next PM. Whoever wins the elections has a big task to rescue this country from the mess. While the next PM candidate is preparing his plan to improve the country, let us sit back and think what we can change to foster this development. Stop cribbing and start acting. Comedy Nights are not so comedy after all!! !